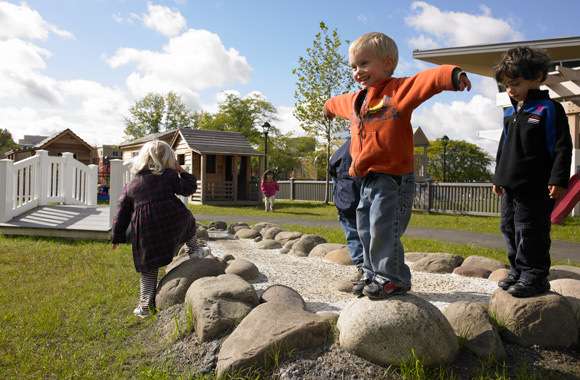 SUNY Cortland’s strong commitment to education with its elite devotion to students and faculty were both key driving factors in the redesign of the LEED-accredited child care center and playground. 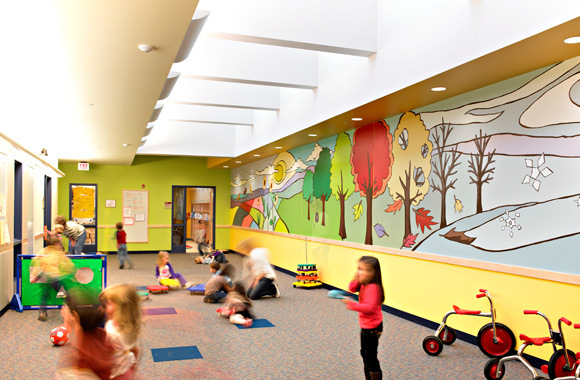 Completed in fall of 2009, the new center is nicely situated on the ground level of the new education building on campus. 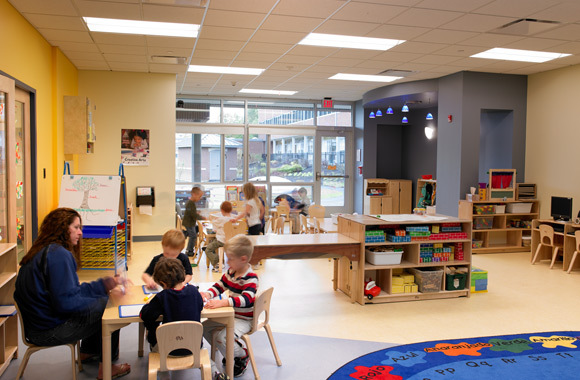 Designed with natural light and views in mind, the L-shaped floor plan is arranged around a fully-glazed corridor, allowing expansive daylight and views into the center and also allowing for direct playground access from each classroom. 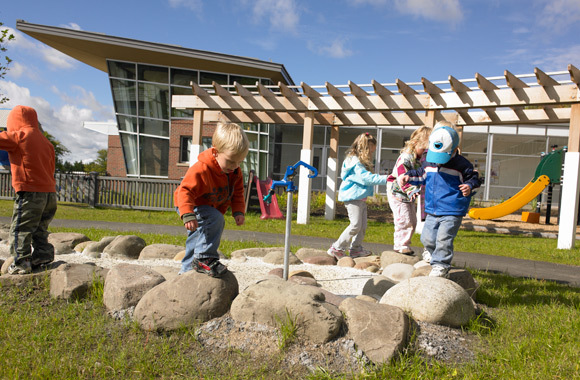 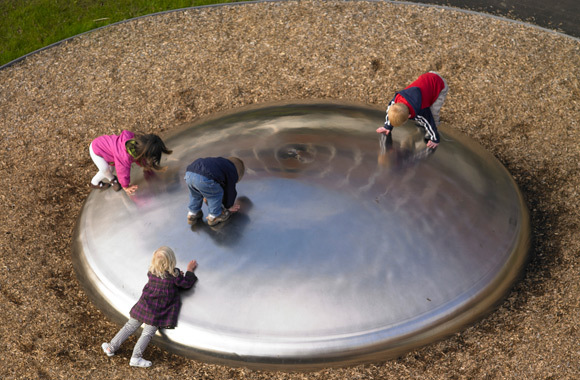 An array of recycled and renewable materials and components throughout the building and playground work together to create a natural, healthy and safe environment for all its users.